Your Beliefs are Your Boss! People are starting to understand how powerful their beliefs are. They are starting to realize how much power their beliefs wield over their success! Understanding beliefs is a relatively new area of research and illumination for most. However, there has been research into this area for decades. How do we Ensure You Get What You Want? At Team-builder Leadership Institute we have been involved with the research and teaching the understanding and power of beliefs for years. In fact, all of our programs help you remove your limiting beliefs (beliefs that are in your way of you getting what you want) and adjust to or instill new beliefs that support your desires. Understanding and knowing how to use belief systems gives you tremendous power to create your reality and achieve your goals no matter what they are! Before you begin to wonder about the validity or that it sounds crazy or magical (unreal), let me define what belief systems can and will do for you. We are all products of where we are born, when we are born, and the culture we grow up in. Culture is not national, regional, or racial. Culture is one house will have a culture that is different than its next door neighbor! 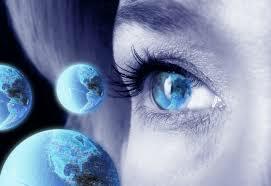 In fact, all of us see the world we live in a little different based on our experiences. These beliefs we develop generate our feelings and behaviors. They generate our self-imposed limitations and courage. They generate our happiness or discourse. They are the program we operate on 90% of the time. They are our emotions and our reactions to stimuli. Research shows we operate through our emotions about 90% of the time. Meaning we are reacting to our environment based on our beliefs – not reasoning our way through the day! When we interact with people we judge their behaviors against our belief systems. What we think and feel are right and wrong. Because we do this it creates conflict and confrontation in the workplace and in our lives in general. The good news is when you learn to understand your beliefs systems and those of others, you can learn to control your emotions and operate through reason a much greater percentage of the time! You have the power to decide on and pursue any goal you want. You have the ability to build your self-confidence, become a powerful people person, transform into a powerful influencing leader and so much more. In fact, the only real limitation you have are your beliefs. If you accept that you are unable to do anything then you are unable until you change that belief! At Team-builder Leadership Institute we show you how to tap into the power of understanding and using belief systems gaining the ability to transform yourself into ‘the you’ that will get you everything you have ever wanted! Often we people first hear about the power of belief systems they do not understand the power and significance beliefs systems have in their life. Through our training programs you are able to discover for yourself the awesome power you will get over you and your results. Understanding and knowing belief systems has another tremendous advantage besides allowing you to get any results that you want. You also learn to understand others, the way they think and feel and the actions and behaviors they use. You learn how to help them get rid of negative behaviors, adjust to behaviors that support the common goals and help them achieve their goals. In addition you develop the ability to feel no judgement toward anyone. It provides you with tremendous emotional control so no one has the power to make you feel anything that is not in your best interest anymore! You actually for the first time in your life will be in total control of you and your feelings and emotions! The power it provides you is phenomenal! At Team-builder Leadership Institute we combine the power of belief systems with an in-depth interpersonal communication mastery tool to create a program that provides a more profound ability to communicate and influence people than anything you have ever seen, experienced or even heard of: It is our “Communication Success Program”. 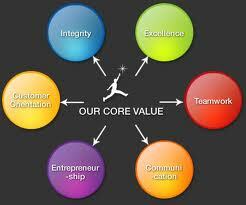 It is the core of our diversity training, leadership training and indeed all of our programs. Not only does research show but we all know that to be a truly powerful leader, you must become a truly powerful communicator. 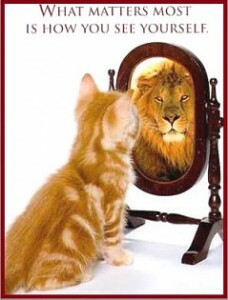 That is what Communication Success Program transforms you into! Through understanding belief systems and learning how to use them you will take yourself on a journey of self-discovery and self-mastery unlike anything you can imagine! The knowledge that you can get anything you want and the confidence and courage to pursue it will provide you elation and happiness that you would not have believed possible! It provides you with a freedom like you never imagined you could have and with abilities you thought only the mighty possessed! Begin your transformation and journey! Free yourself from limiting beliefs, negative emotions, doubt, other people’s selfish expectations and agendas. Give yourself the ultimate power of control over your beliefs, emotions, feelings, and life!